Did you know that Prague is the defenestration capitol of the world? Do you know what defenestration is? (I didn’t.) Or how about this one… Modern Czechoslovakia was actually created in Pittsburgh, PA (of all places…) in 1918 and then the country split into Czech and Slovakia at the end of 1992. There are several streets in Israel named for Czechoslovakia’s first president, Tomas Masaryk, including one in Jerusalem. Finally, perhaps the most fun fact, the Czech Republic is the #1 beer drinking country in the world (beer is actually cheaper than water in restaurants – seriously!) 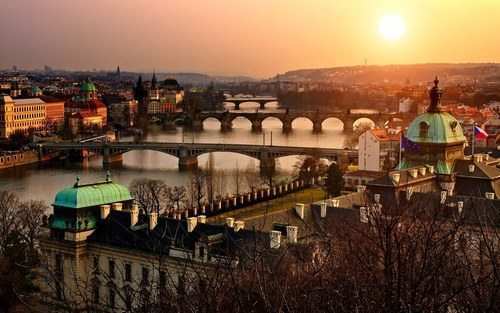 The Czech’s drink more beer per capita than others in the world, consuming on average 43 gallons per person, per year. 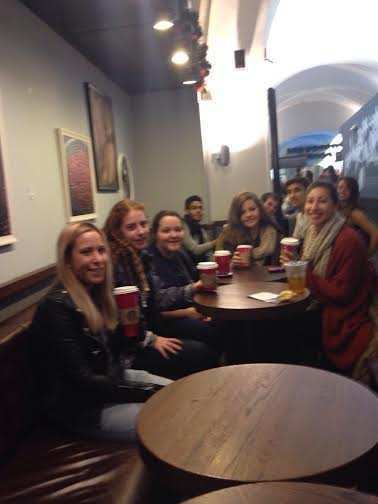 Now that we know a little more about the country, let me fill you in on the students first day in Prague. Everything has been going very smoothly Josh reports. No one overslept for their 4:30 and 5:00 taxis to the airport and the students are already pros at traveling – before the flight even took off, several were asleep and I think the others only waited for takeoff to snooze so that they could pull their tray tables down to put their heads on. Once back on the ground, they headed to their hotel to check in and then out to grab lunch. 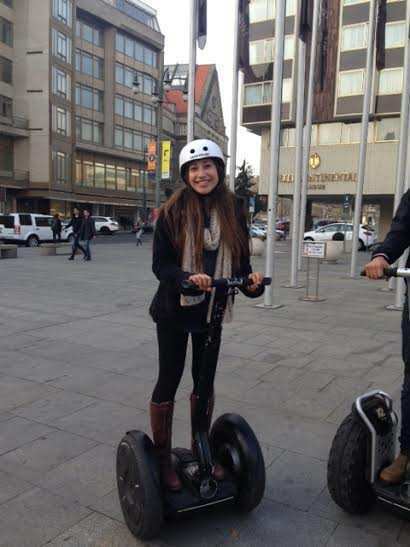 Then off to their first tour – on segways! 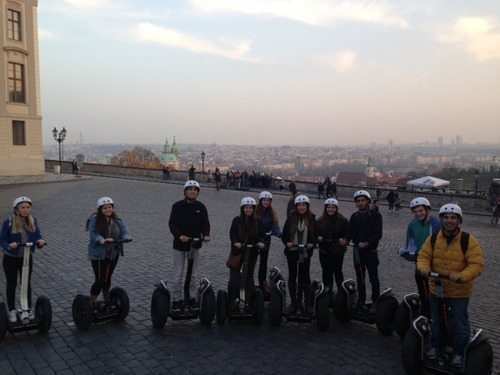 They had a blast and got the change to see many sights and different areas of the city. 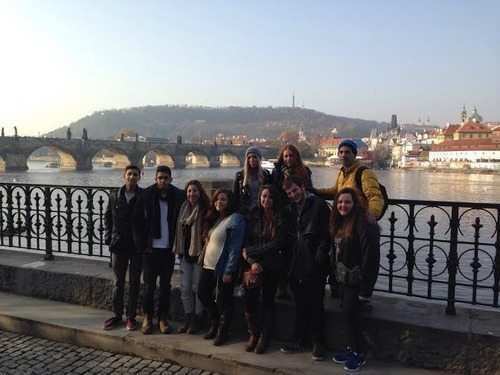 During the day today, the group also had the change to walk around Prague and get a feel for the city and it’s culture. 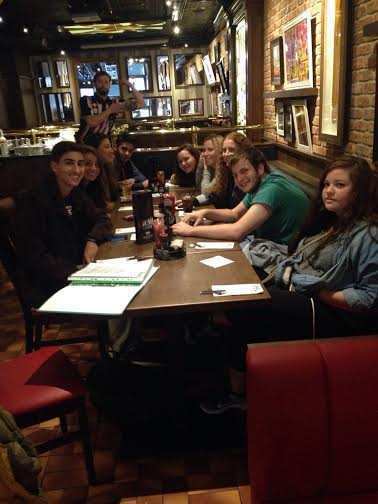 Tomorrow they’ll have a chance to explore the Jewish Quarter, travel out of Prague on a guided tour of Terezin, and in the evening have a chance to unwind on a Pub Crawl. 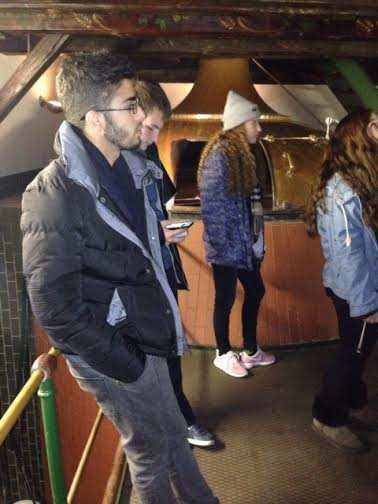 On their tour, they visited a number of different pubs and finished off the night at the most popular dance club in Prague – a five story venue filled with dancing young people from all over the world. Aside from Gil and Josh almost losing the group at one point in the evening, the night went off without a hitch! Everyone is safe and sound back at the hotel, sound asleep by now. The day started out with the revelation that Jolie and Georgi are not morning people. Despite this, everyone had a nice breakfast in the hotel and then they set out on their day with the first stop being the Jewish Museum. The museum is actually laid out throughout the Jewish Quarter with displays located in six historic sites – four synagogues, the Jewish cemetery, and a Ceremonial Hall. While they were exploring the Jewish Museum, Sam dazzled everyone with some of his knowledge about the Enlightenment Period (which he learned in one of his Aardvark classes!) The group’s favorite site was the Spanish Synagogue which was built in 1868 and features a massive organ and elaborate interior designs with nearly every surface covered with gilded patterns. Interestingly, although it’s called the Spanish Synagogue, the synagogue was never used by a Spanish or Sephardic congregation. It was in fact an early Reform temple. There are two theories as to the synagogue’s name (according to wikipedia… as well as the guide at the museum): 1) The Moorish architectural style may have been found reminiscent of the Golden age of Jewish culture in Spain. 2) The synagogue was on the site of the city’s most ancient synagogue, which may originally have been used by Byzantine Jews. Some awareness of this fact may have given rise to the legend of a historic Sephardic community. After lunch at the not so yummy Chabad dairy restaurant (but, yes they were happy to have supported this Jewish establishment), they left Prague to travel to the town of Terezin. In the late 1700’s Terezin was first built as a fortress and in the late 19th Century parts of the town were also converted into a prison. During World War II, the town, better known by the German name Theresienstadt, was converted into a ghetto for the Jews and a concentration camp. Although not used as an extermination camp, almost 90% of the people held there died of disease or were later deported to other camps where they were killed. One of the unique things about Terezin was that Hitler’s plan was to build there a haven for the Jews where he could show the world how he was protecting them from the war. The Red Cross was allowed to visit Terezin once and the village was decorated for the occasion. The entire ruse included staging inmates dressed up to impress the visitors and shop windows filled with goods just for that day. In the end, the Red Cross concluded that the Jews were being treated all right. Another thing that stuck out for the students was the layout – at the site where the executions were held at the prison (for political prisoners), they discovered that on the other side of the wall there was an empty swimming pool and tennis courts which had been built for the guards and their families. The juxtaposition was jarring. Many of the people who today live in Terezin are the second and third generation descendants of the families who were forced to leave during the war. And, many of them work at the historical sites, ensuring that it is preserved. 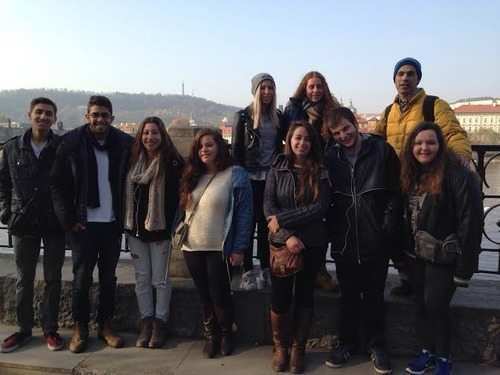 Tomorrow the group will explore the Charles Bridge, Prague Castle, meet with the Israeli Ambassador to the Czech Republic, celebrate Shabbat services in Europe’s oldest active synagogue, and finally have dinner with Jews from around the world at Chabad. As they headed from the bridge to the castle, Georgi and Jolie found a really cool gingerbread shop. They have wonderful gingerbread cookies in all shapes and sizes. 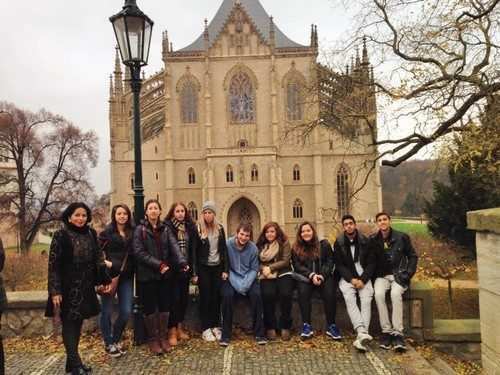 Following the castle, they headed out to lunch at a great cafe and continued on to the residence of the Israeli Ambassador to the Czech Republic, Gary Koren. As I write this, they are finishing their meeting with him and then heading back into the center of town to attend Shabbat services at the oldest functioning synagogue in Europe – the Old New Synagogue. 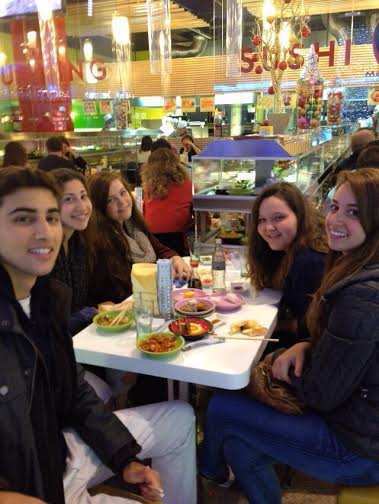 Following services, they will be eating dinner with Jews from around the world at Chabad. Shabbat evening was very special as they visited the Old New Synagogue and had dinner with Chabad. 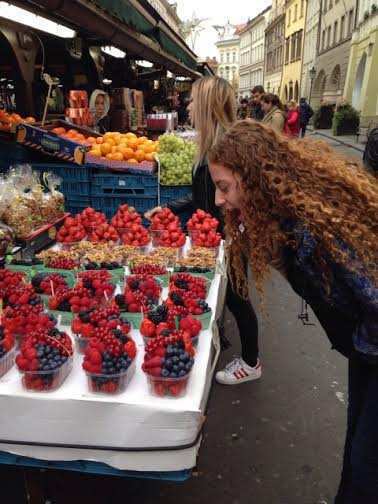 Today the group had a more relaxed morning as they wandered through Havel’s Market and Old Town Square. 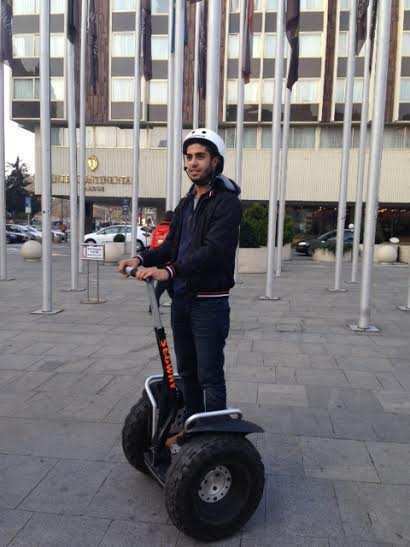 They also had some free time to explore the city center at their own pace. Lunch was at a vegetarian restaurant called “Clear Head” which has a very cool atmosphere and the food was really great. Josh described his dish to me as raw spaghetti (which I completely didn’t understand since who would want to eat raw pasta…) but then he explained it was spiraled cucumber with pesto and a nutty seedy red sauce. It sounded delicious to me (I’m a vegetarian) and he shared with me that even the students (who are not vegetarians) really enjoyed their meals. 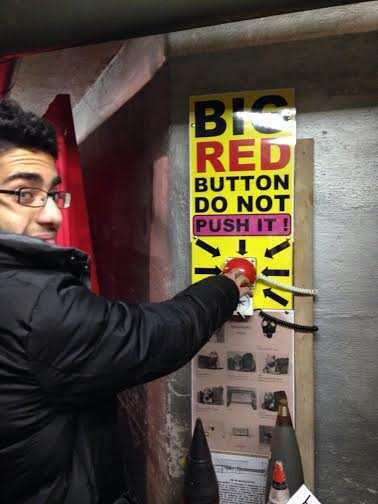 Then it was off to a Communism and Nuclear Bunker Tour. In case you’re not up on your Czech history, the country was communist from 1948 to 1989. 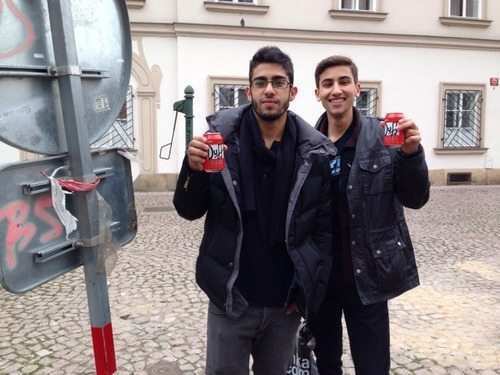 Next they were off to U Fleku Brewery which is famous in Prague. They had a tour of the brewery and then stayed for dinner. While at dinner, they FaceTimed with me and my kids – big thank you to Yarden for humoring my daughter and WhatsApping with her! Finally, the last stop of the day was “laser-games” (as the Czechs call it.) 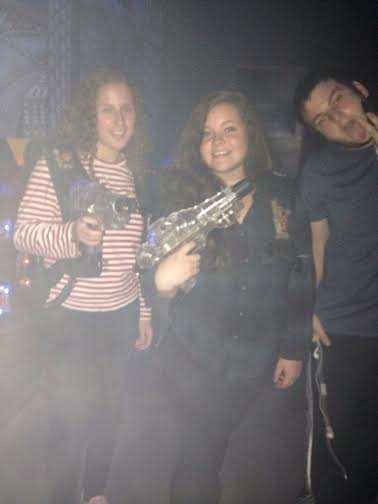 When planning the trip, I asked a friend of mine who is from Prague what she recommended that would be authentic and fun – she said lasertag is very popular with Czech young people these days and apparently it is with our students as well since they had a blast! Tomorrow they’re off to Kunta Hora and Kolin. And then it’s home sweet home in Israel. 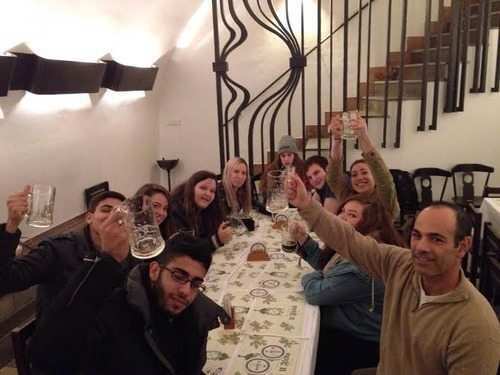 Our tour guide, a proud Jewish woman from Prague, then arranged for the students to eat lunch at a restaurant in Kolin which was once the home of the Rabbi of the town. 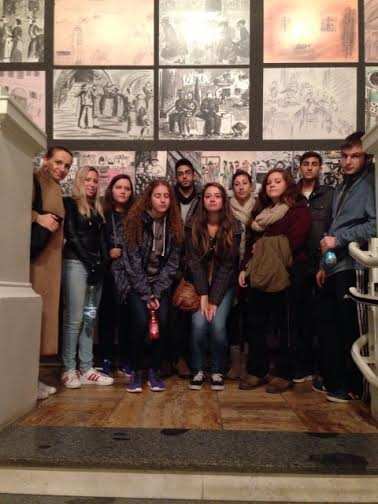 During their tour of Kolin, they learned about the history of this once vibrant, although small Jewish community. 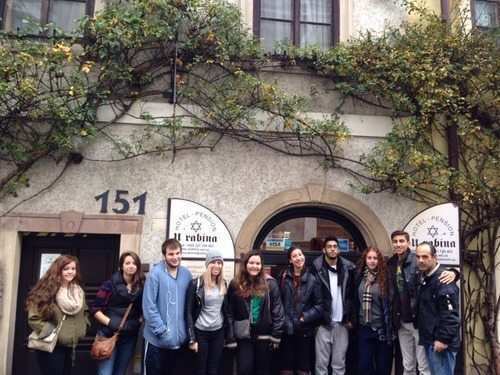 They visited the local synagogue which is the second oldest in the Czech Republic – it was built around 1642. There was a Jewish Community in Kolin as early as the 14th century, and the community was virtually wiped out due to Nazi deportations to Terezin during the Holocaust. The group also visited the Jewish Cemetery which has graves dating back hundreds of years. We’ll email you all once more tomorrow after everyone is home safe and sound. And, I’ll be able to get more details and highlights from Josh and the students to share with you! They’re due to arrive back in Israel around three in the morning and they’ll have the morning to sleep in before they need to be in classes tomorrow afternoon. I can’t believe we packed so much into our trip in just five days! 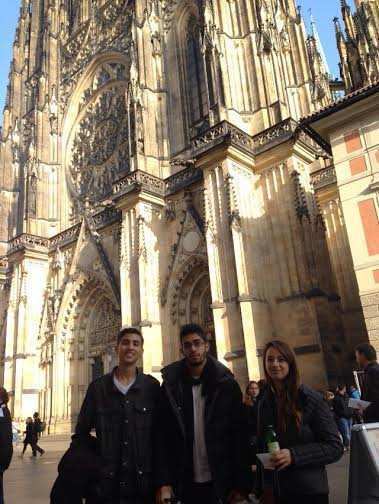 The Czech Republic is a wonderful tourist destination and we took full advantage of what it has to offer. The Israeli Ambassador explained to us that Israel attracts nearly three million tourists a year whereas Prague attracts around ten million each year. 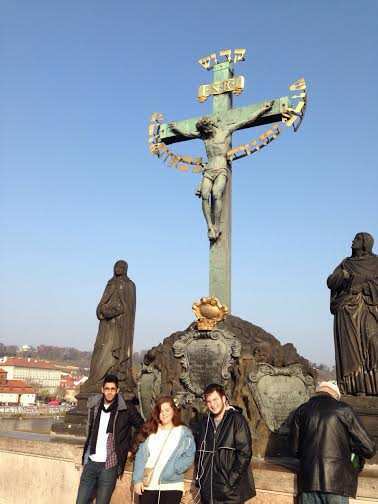 We found Prague easy to get around, full of great sites and experiences, and the weather was wonderful. As you know we arrived back in Israel this morning, but interestingly, today is actually the anniversary of the Velvet Revolution, the non-violent demonstration that finally led to the end of Communism in Czechoslovakia. And since that time, Prague has embraced the opportunity to open its doors to the rest of the world. 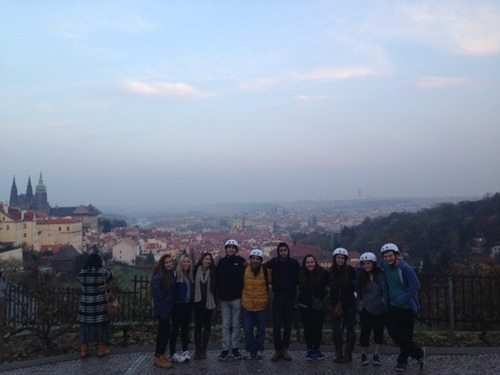 As I look back at our experiences together, I can see that the students really appreciated the diversity Prague has to offer – a glance at the histories of Old World Europue, the Jewish People, the Holocaust, Communism, and of course modern attractions and the quirky, kitschy world of tourism. There was a nice balance between the recreational activities and the educational one. More often than not, the two coexisted harmoniously. The best part of the trip for me was interacting with the participants: learning about their lives back home, future aspirations and hearing about their experience in Israel thus far and on the other International trips. I really enjoyed spending time with all of the participants and picking Aardvark International’s Next Top Tourist was next to impossible, but here are the results… Ben, Jolie and Georgi showed a zest for their experience in Prague but demonstrated a pro-activeness that may be perfect for individual travel, but was not always ideal for group travel. Rachel, Kira and Yarden were steady and easy going travel companions, but neglected to show enough of a sense of adventure and I believe this is an important characteristic to be Top Tourist. However, Sam, Gil and Abby were not afraid to show the zeal for their experience. Sam showed a really interest in the educational experience, by asking questions and doing additional research. He really helped me navigate directions at times and he volunteered to take a special trip to the hotel to bring back stuff too cumbersome for others to carry (such a mensch!). Gil also helped me navigate when necessary and he was also right by my side when we got separated from the group on the pub crawl. I will always be grateful to him for keeping me calm! Finally, Abbey has a tremendous ability to go with the flow and make friends everywhere she went. 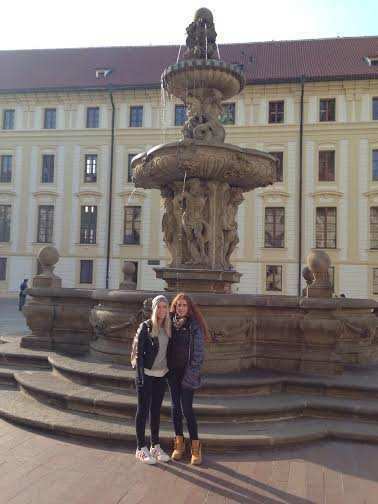 Unfortunately her friendliness made me a little nervous as we interacted at times with partying young adult Europeans. It is really tempting to announce a three way tie, but I am going to give the edge to the participant who was at my side to offer his assistance and announce Sam as Aardvark International’s Next Top Tourist.